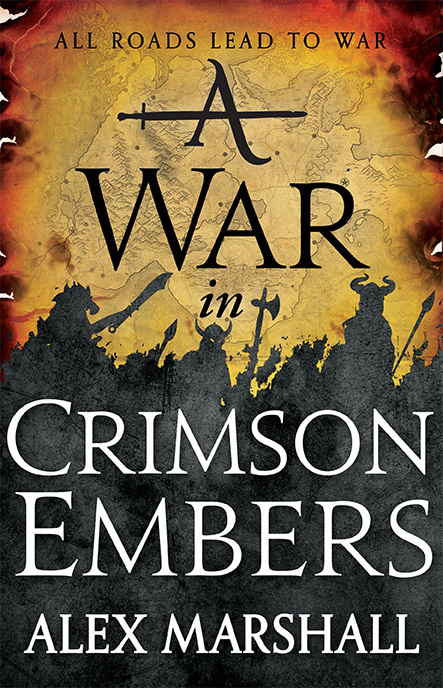 War reaches a bloody climax in Alex Marshall’s final book in the Crimson Empire trilogy. Check out this epic cover for A WAR IN CRIMSON EMBERS, the third and final book following A CROWN FOR COLD SILVER (US | UK | AUS) and A BLADE OF BLACK STEEL (US | UK | AUS), to be published in summer 2017. Cover design by Lisa Marie Pompilio, with map by Tim Paul.